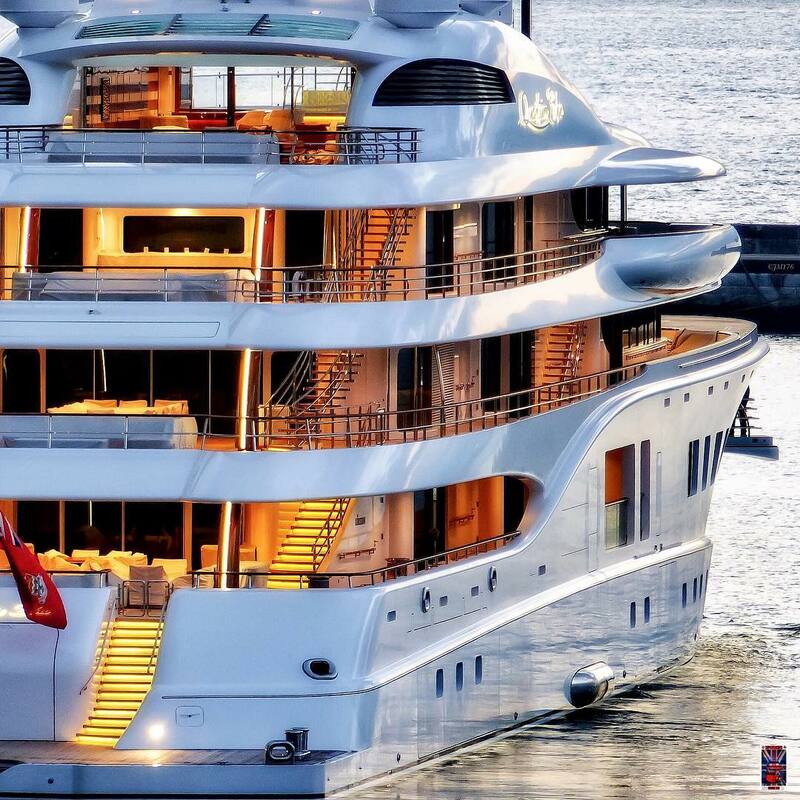 Lurssen is well known for building excellent superyachts larger than 50 meters and particularly larger than 100 meters. Among the outstanding vessels the shipyard has launched in recent years is the massive 104m (341′) motor yacht Quantum Blue. 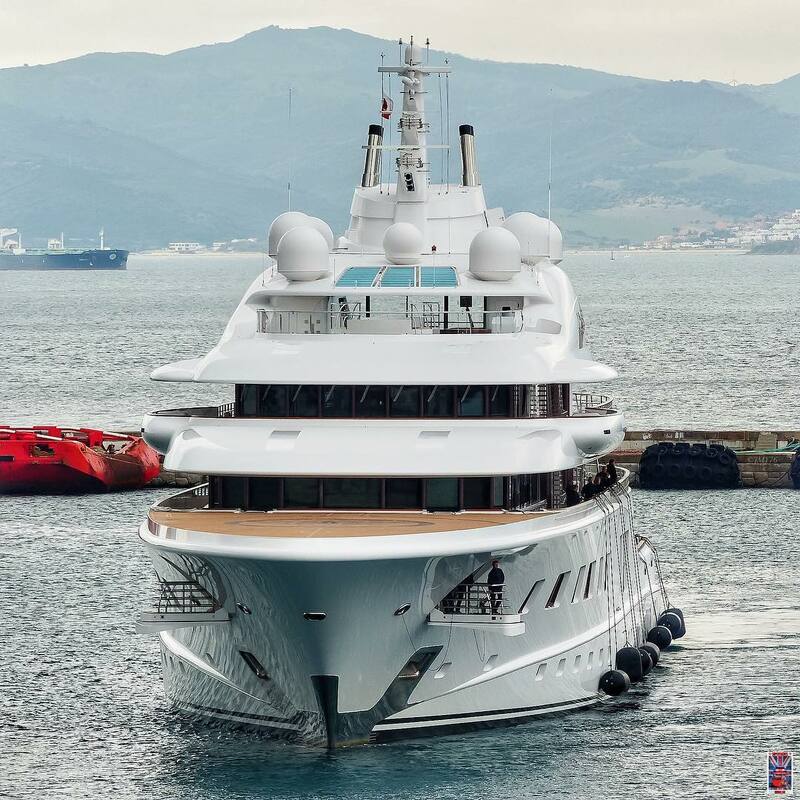 The superyacht was delivered to Russian billionaire Sergey Galitskiy in 2014 and ranked as the second largest superyacht launch of the year, coming in behind Fincantieri’s Ocean Victory. With an interior designed by none other than the late Alberto Pinto, Quantum Blue is designed to accommodate 14 guests in seven opulent cabins. There is also additional room for a crew of up to 18. The unique exterior lines were created by Tim Heywood Design. Quantum Blue features unique exterior design such as the main-deck inset balcony that can be seen in the picture below. Up close view of the starboard side of Lurssen’s Quantum Blue. Photo by Jarrad @ superyachts_gibraltar. The full displacement steel hull and aluminum superstructure cruise at a comfortable 13 knots with a top speed of 22 knots. Details about the interior are shrouded in secrecy but it is known that Quantum Blue is host to amenities such as a helicopter pad, tender garage, swimming pool, beach club, gym, cinema and jacuzzi among others. 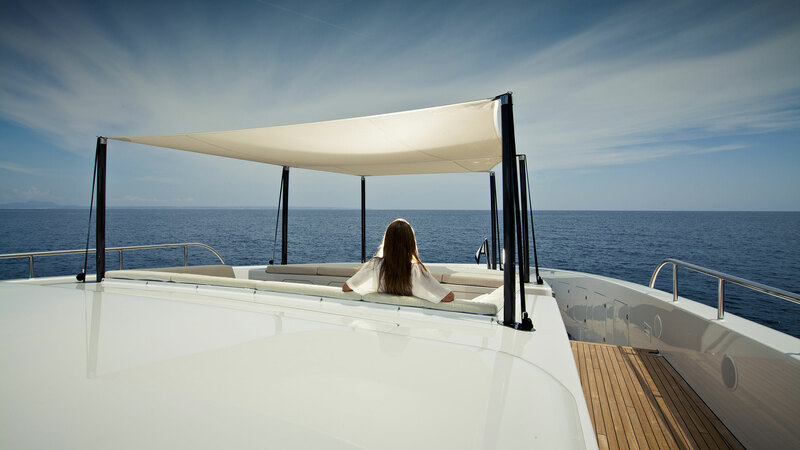 Of course, the superyacht is also equipped with zero speed stabilizers that provide comfort at anchor and underway.